Join Chabad - Chabad of Placer County, Where every Jew is Family! 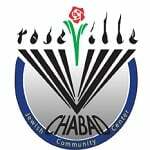 At the Chabad of Roseville / Placer County there are no membership dues required to attend any service, program or event. As a Jew you have a birthright membership at Chabad. All are welcome, regardless of affiliation or background. Our financial support comes 100% from the voluntary generosity of individuals in our community. CLICK HERE to learn about "The MItzvah Club" - a voluntary giving program that supports our work! Submit your information below, and we will stay in touch. Please note: All information submitted to Chabad of Roseville / Placer county is strictly confidential. We do not share, sell or trade this information with anyone or any organization under any circumstances.